Dental Erosion- What is it? 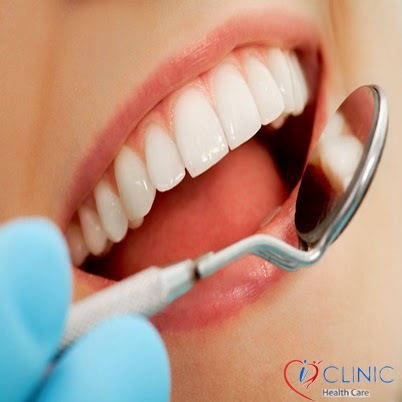 When dental erosion occurs the dental hard tissue is gradually dissolved by acids. This loss of tooth structure is irreversible. Erosion, Abrasion and Attrition – What is the difference between them? Erosion is the chemical wear away of the tooth structure. This usually happens from extrinsic or intrinsic acids. Abrasion is the physical wear of the tooth structure. This takes place through an extrinsic mechanical process like bad brushing habits. Attrition is a physical wear of the tooth structure. This is caused by intrinsic mechanical process which is the result of excessive or abnormal forces from the opposite tooth. Extrinsic acids cause dental erosion. This can happen when acidic medications or dietary beverages or food like colas, juices and soda below the ph4 level is taken. Intrinsic acids are also instrumental in causing erosion as the backflow of gastric juice from the stomach that is a common symptom of GERD or Gastroesophareal Reflux Disease and bulimia and rumination or regurgitation. If teeth has diminished acid resistance or developmental deficiencies and hypomineralization as in dental fluorosis then there is a high chance of dental erosion. Saliva is highly helpful in buffering and neutralizes the acids to prevent erosion. But if there is less saliva flow then it can result in erosion of teeth. Does the structure of the tooth change because of erosion? Of course it does. Some of the changes that usually happen are Occlusal surfaces, Labial surfaces, Shallow enamel defects, Palatal and lingual surfaces, Flattening and loss of contour and Insical edges. Ways to Prevent Dental Erosion? Reduce or avoid the dietary intake of acidic beverages. Use straw to reduce the contact of acidic drinks with teeth. Do not misuse acidic medication that contains vitamin C.
Getting a tooth cap or veneer for restoration of the tooth structure. Root Canal Treatment or RCT is done in teeth that are badly eroded and then the tooth structure is restored with a crown.